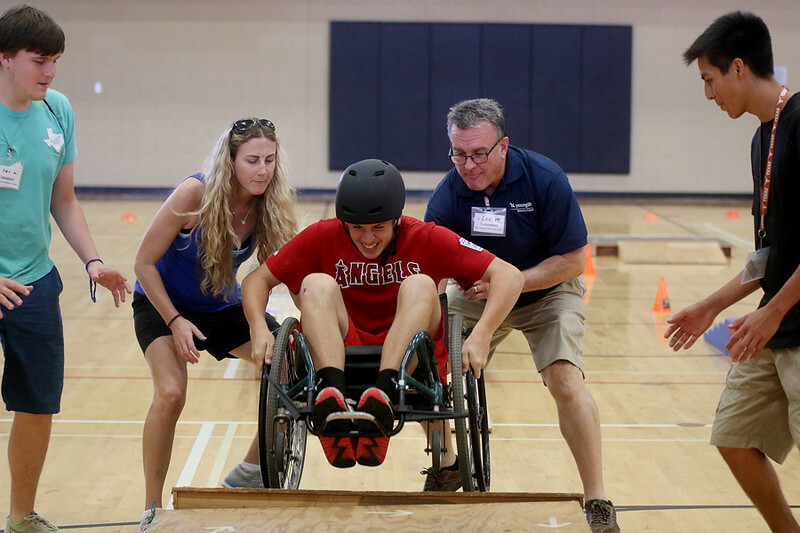 Trenton Hudman, with help from Ben McGee, Christina Hayden, Lee McGee and Oscar Zarate, negotiating the wheelchair slalom during the Pearland Recreation Center & Natatorium (RCN) Birthday Bash. The center celebrates it's 5th year. Photo by Pin Lim.